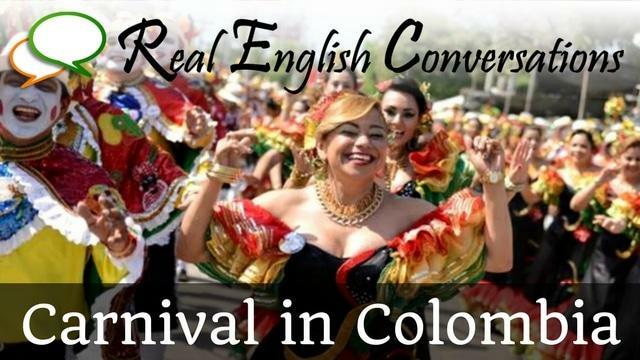 In this English podcast conversation, we are going to tell you about our experiences visiting Colombia during their world-famous Carnival. We discuss the difference it can make when you know someone who is from the region you are visiting and how you can really have the opportunity to discover the culture on another level. This podcast shares the travel and cultural adventures that Amy and Curtis experienced during the Carnival in Barranquilla, Colombia. This trip was inspired by a language exchange that Amy had with her friend Hugo. Together, they practiced English and Spanish for several hours and developed a strong friendship. Thanks to this, Amy and Curtis had a completely different experience compared to a regular tourist with complete immersion into the culture. Trying different foods, living in typical housing and meeting the wonderful people of the country.